What happens when one of Bucktown's finest rap duos join forces with soulful Carolina's preproduction phenom? We're about to find out! 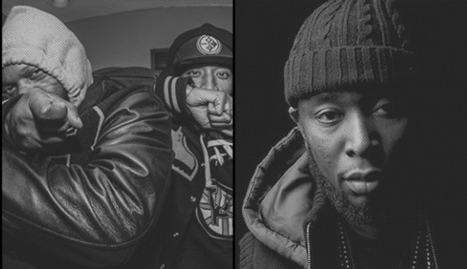 Smif-N-Wessun has teamed up with 9th Wonder and the Soul Council to record their new album. On Thursday (July 19), the North Carolina producer took to Twitter to announce a new album was done. “The Smif-N-Wessun album is done... #ProducedbytheMighty @SoulCouncil,” he wrote. Smif-N-Wessun join Rick Ross on "Capone Suite" a feature single on The Superfly film soundtrack produced by 9th Wonder. Now available on all music streaming services. Click below to hear the track.